This ring barrier was to cute. He was less then two years and absolutely was adorable. 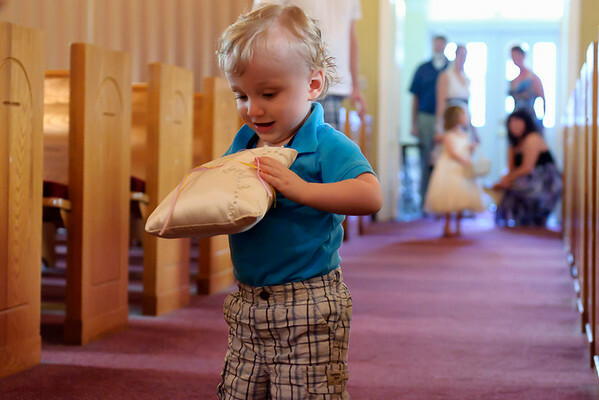 To get him to walk up the isle was for me to hold my camera out for him. He absolute loved having his picture taken. Too cute is right, congrats on the quick thinking.